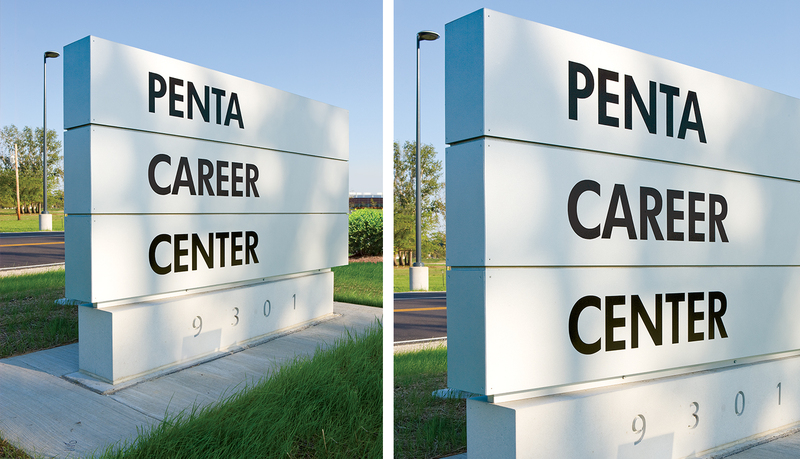 The PENTA Career Center is a public vocational high school that serves and educates 2,000 students from five counties in the northern Ohio region. 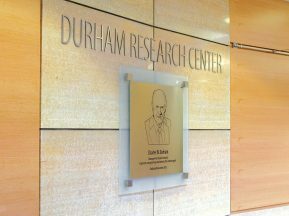 The new, state-of-the art facility is part of a 144 acre master-planned campus that was designed by a joint venture between educational architects, The Collaborative, Inc., and TMP Associates. 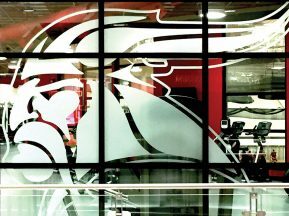 The design features a central facility area surrounded by three wings, with flexible classrooms and laboratories that can adapt easily to evolving career-technical programs. The three-story, glass wall central facility is PENTA’s focal point. Because PENTA receives students from 16 school districts, the central facility includes social zones and a commons area to help build a sense of school unity among the students and staff. The exterior architectural design of the center uses pre-cast concrete insulated panels with inset brick and modular metal panels. Structural and mechanical systems are exposed in lab areas, providing a tangible teaching tool for construction trade instructors. 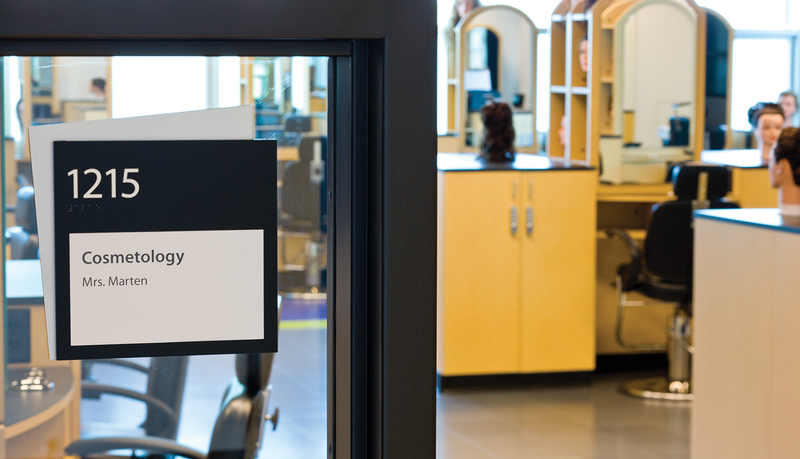 ASI designed, fabricated and installed a complete signage solution that reflected the image of the school and the modern state-of-the art facility. 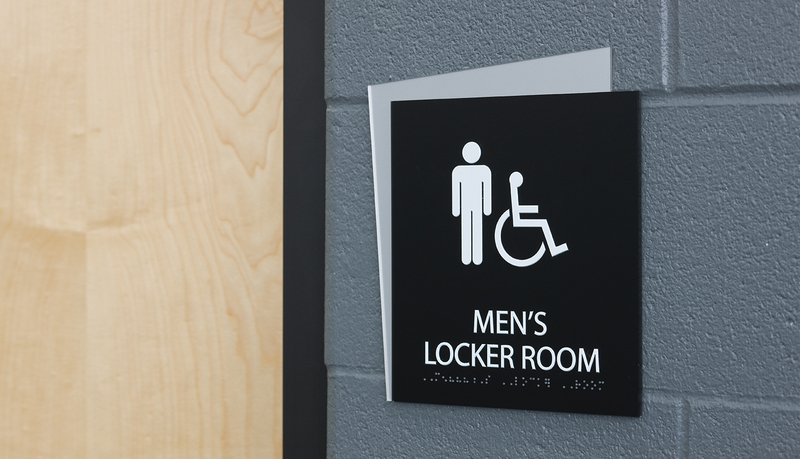 The interior signage design uses a silver-backed translucent quadrilateral backplate with a black graphic or ADA-Ready™ panel mounted as a second layer. 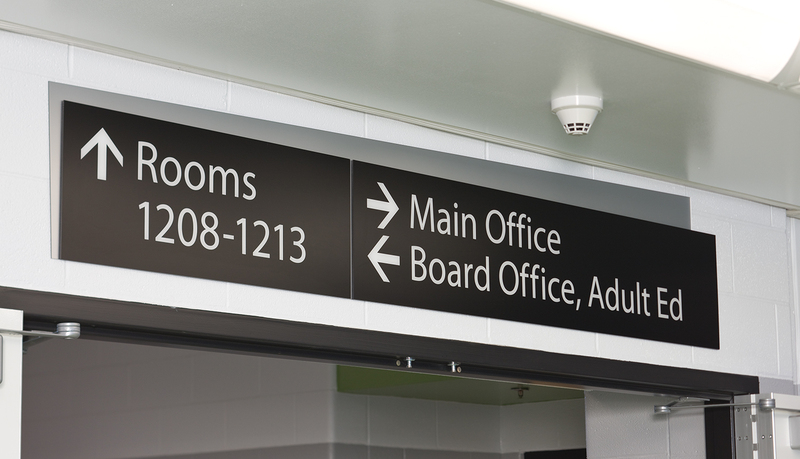 From this design, ASI created room IDs updateable window signs, and wall-mounted overhead directional signs providing a cohesive, streamlined signage system. ASI was awarded the project after successfully winning the public bid. 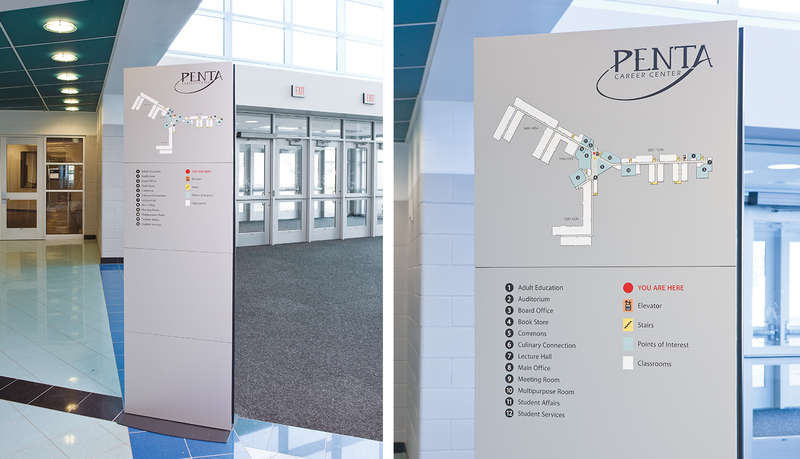 After carefully reviewing the original signage specifications in the bid, ASI consulted with PENTA staff to redesign a more attractive solution that would complement the brand identity and architectural space, while also consolidating the number of signs to be delivery a more effective wayfinding solution. And, ASI was able to deliver these extra services at the same amount as the original budget. 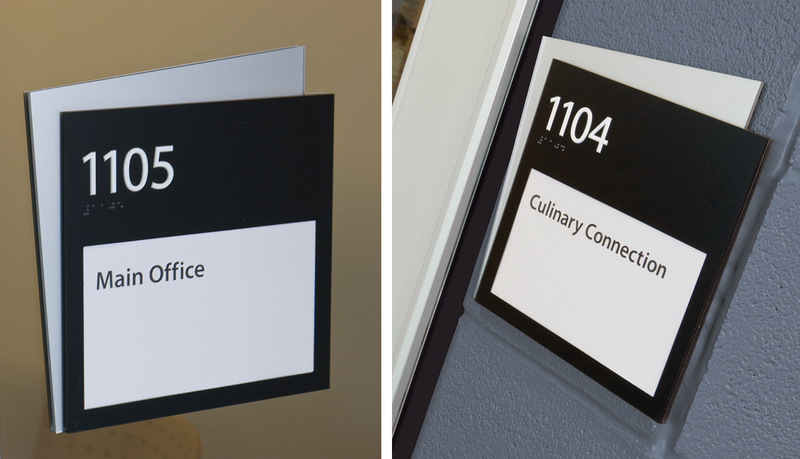 The revised design-build signage program was completed and installed via a phased construction schedule before school started in the fall. 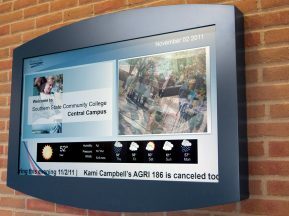 At the main entrance of the central facility stands a 32” flat-screen digital monolith, which provides current event and wayfinding information to students and staff as they enter the center. 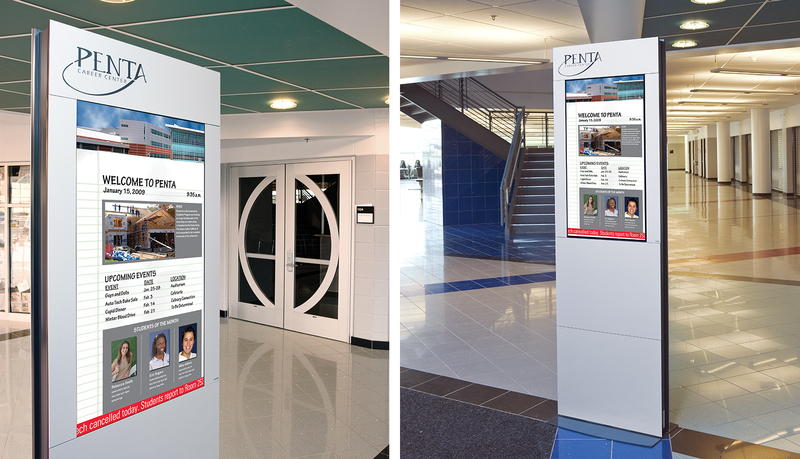 On the back of the monolith, ASI applied a simplified full color “You are Here” map to help visitors, students and staff navigate the facility. 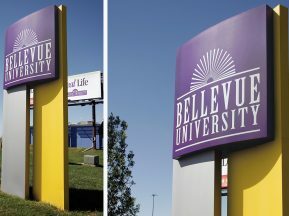 For the exterior, ASI fabricated and installed dimensional letters onto an exiting vertical column. Not only does this identify the center, it also compliments the architectural design of the building.